Café Tres Generaciones flatters you with this specialty for our Coffee Lovers. Laurina brings exotic flavors to the coffee grown at Doka Estate in Sabanilla at 4600 feet; its bean is smaller and rice shaped. It is processed and light roasted carefully by our Master Roaster to offer a sweet cup with juicy acidity. 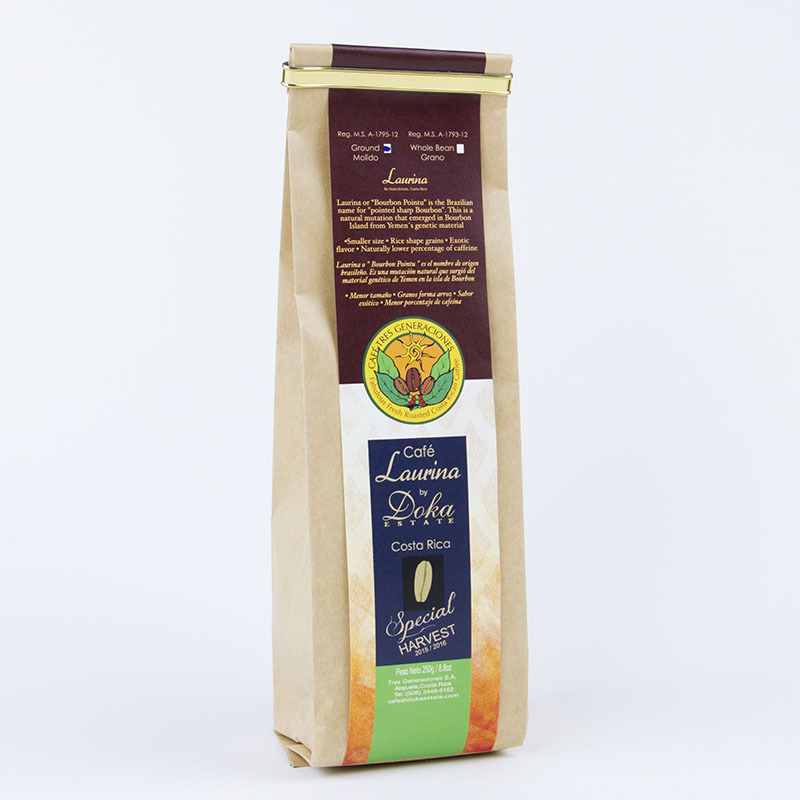 It is a delicate coffee which requires intense agronomical assistance with a unique feature; it has 50% less caffeine than other Arabica’s coffees and offers a refreshing taste.